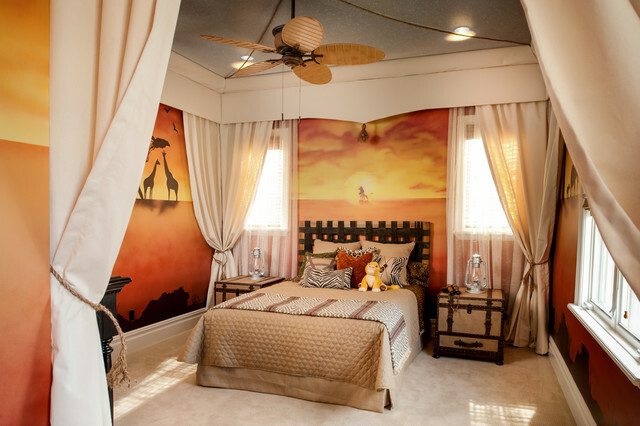 The Lion King In this bedroom, a camp-like area has been set up in a space that recalls the enchanted Africa of Simba, the Lion King. The murals, the curtains, the travel-chest-like furniture and the bedding all contribute to the savanna effect. The soft toys on the bed provide an extra-tender touch.Fun feature The curtains in the four corners of the room enhance the feeling of sleeping in a tent.